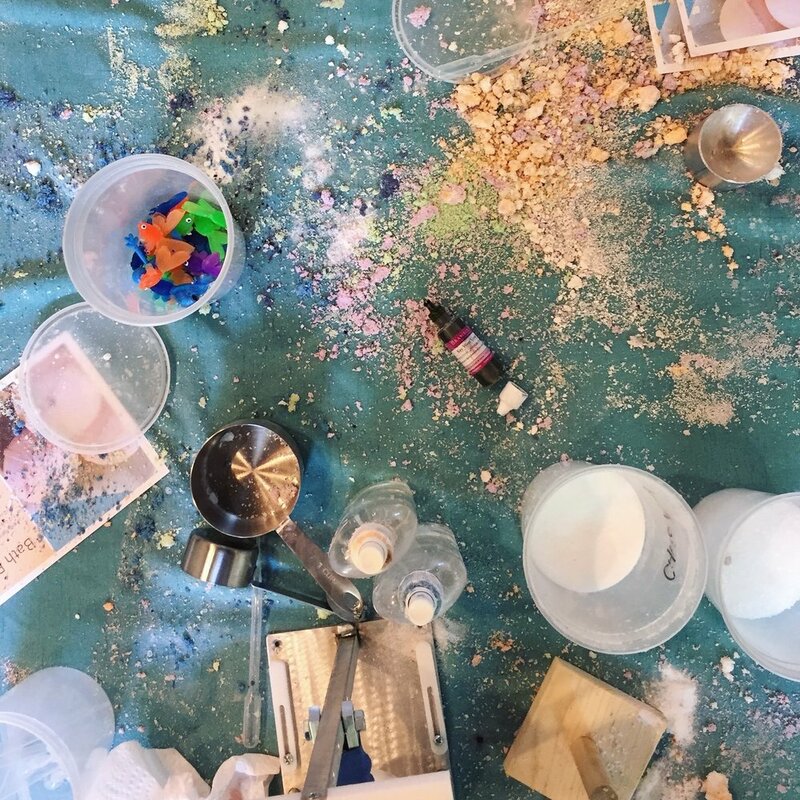 We love celebrating birthdays with enthusiastic and crafty kiddos at Make + Take Studio! 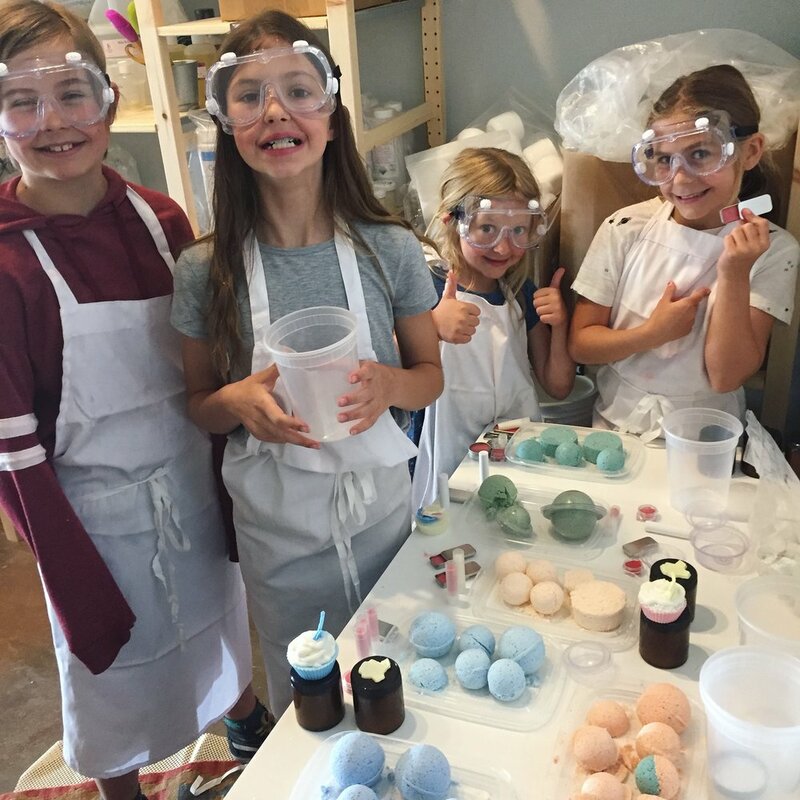 Our parties are preeeeeettty awesome, and we’re delighted to share with families details about our unique, guided birthday party offerings. 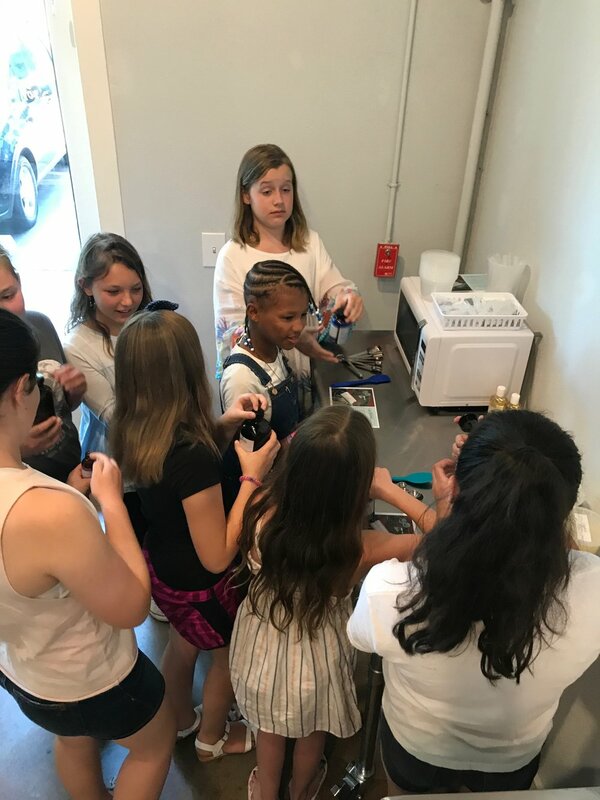 We’re sharing here what our two "standard" birthday package are: one is our make-your-own bath & beauty products party and the other focuses on jewelry stamping. However, please know that we are always flexible and can work with you on all kinds of options. Most parties book on the weekend, but we are available for parties Mondays, Wednesdays, and Fridays, as well. Make your own combination of bath and beauty products, and leave with your creations in hand. No need for goody bags! All supplies included. Outside food/drink is permitted at no additional fee. Organizers may arrive up to 45 minutes before party time to set up, if desired. Birthday parties are best for kids 7+ or accompanied by an adult. We offer $25 off for weekday bookings made at least three weeks in advance. New to the studio, Frigg's is delighted to offer stamped jewelry parties! This is a great way to celebrate for older kids who want to create something memorable in a fun environment! Guided instruction and all supplies are included in the birthday package. Birthday parties are best for kids 9+ who can hold a hammer steady. Our studio calendar gives you a good idea of available times/dates; we require approximately one hour between events. Interested in more details? We’d love to connect with you! Fill our our inquiry form and we’ll get back to you within 24 hrs.